I read in the new Railpace yesterday that CSX has announced (or filed??) to reopen the Northern Branch from Englewood up to Closter (~5 miles? ), which is now mothballed. They want to start running trash trains of some sort. I don't know the exact legal status of that section, with respect to being out of service (I actually doubt is is formally out of service), etc, and what legal hurdles there are, NTSB or otherwise, or what shape the tracks are in. Has anyone heard about this? If you told me APril Fools, I would have said "good joke". It would be amazed if it actually happened. I can't imagine any of those towns like CLoster and Tenafly would be too happy about trash trains. THey must be talking about quite a few loads too for CSX to reopen/restore 5 miles of track. I googled a bit but couldn't find anything relevant on line. Just idle speculation, but between Closter Dock Road ad Blanch Avenue there are potentially a number of sites where construction debris or other solid waste might be loaded... any demolition under consideration in the area? I go past the northern branch tracks many times in my work travels, and if I recall correctly there are 5 intact sidings switch and all, north of Englewood. 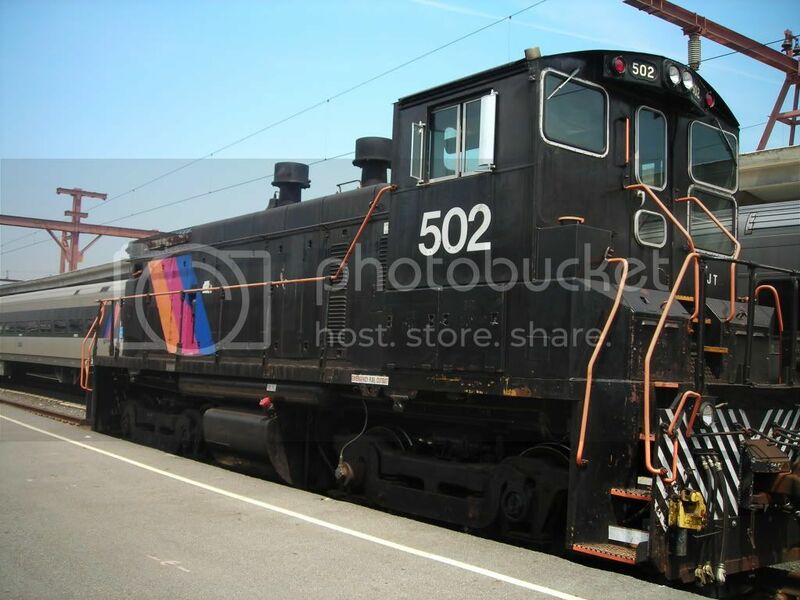 I am pretty sure the 5 sidings are in Closter and Norwood/Northvale. Plus there’s remnants of the old Closter team track which could also be reinstalled as the switches on both ends of the 2nd track are intact. Except the crossings need reinstallation. But IF true this is GREAT news! I really hope this happens! I know where that is. (Although I’m pretty sure I heard that Miele sanitation recently got sold/bought out by Interstate waste services). Anyhow that yard is across the street from the tracks. However they do or at least they did have an empty lot right up the street where they stored roll-off containers right next to the tracks. Plus that lot is where the old wheyerhauser comes off the main and runs to the plant there. (building now truck served only.) Anyway, they could use part of that siding or just load directly onto the main. But this is a very feasible operation if it comes to fruition. The big story for this is the serious track repair needed to get the line back up and running again. Certain parts thru Tenafly Demerast and Cresskill are ok, Closter is not. This venture implies that terminal space is getting tight in the Secaucus area. Hopefully CSX will also market to Dykes to ship by rail again as well. airman00 wrote: The big story for this is the serious track repair needed to get the line back up and running again. Certain parts thru Tenafly Demerast and Cresskill are ok, Closter is not. Maybe there is planning for something along the lines of a NJT "River Line" rehabilitation as part of the "Northern Branch" transit project? NJT provides the funds to rebuild the line and CSX gets to use it 6 hours a day overnight. Tenafly fought the light rail project tooth and nail. As I recall Tenafly was supposed to be the northern terminus of the light rail expansion. They fought it and won. Englewood will now be the terminus IF this project ever happens. (I still say just bypass Tenafly and extend the light rail to the end of the line, but that’s for another topic). Anyway, Tenafly won’t be able to stop CSX as they own the line. So I don’t think this has anything to do with the proposed HBLR expansion. This is simply just csx seeing a business opportunity and taking advantage of it. (In my opinion). But I know for a fact the trackage thru Closter is in rather rough shape. ccutler wrote: This venture implies that terminal space is getting tight in the Secaucus area. Hopefully CSX will also market to Dykes to ship by rail again as well. Yes, I'm surprised by that - that there is a market for more loading sites. Does anyone know how many construction waste transload sites there are on NYS&W down in the Secaucus/North Bergen area? At one point (15 years ago??) there were quite a few, but don't know if they are all active any more. Maybe it's just too far to drive from the CLoster area to down there with all the traffic. Time will tell. Never underestimate NIMBYs. They will chain themselves to the tracks rather than allow a train with trash through their town, even it is their own trash. The only major downside I see to this is that the possibility of light rail expansion to Closter is greatly reduced. As freight trains need to run through standard-style railroad crossings, NJT won't, for example, be able to install light rail crossings in Tenafly to solve the traffic issue. rhallock wrote: Never underestimate NIMBYs. They will chain themselves to the tracks rather than allow a train with trash through their town, even it is their own trash. IF csx really wants to do this their million dollar lawyers will handle those nimbys no problem. Besides csx owns the tracks. If those nimbys did anything stupid they’d be potentially breaking the law. Any reclamation is a good thing. Any chance of it going even farther north?